Can we please stop wearing our structural firefighting PPE for anything other than structural firefighting or training for structural firefighting? The science is telling us that our structural firefighting ensemble (PPE) absorbs the toxic chemicals, chemical compounds, and carcinogens present in the smoke of today’s structure fires. While gross decontamination may remove a large amount of visible soot and other debris after a firefighter exits the hazard area, it does nothing for removing those contaminants that have made their way into the fabric and padding of the PPE. Those chemicals, chemical compounds, and carcinogens that are gases in their physical state, penetrate the vapor barrier and get up under a firefighters PPE because that PPE is not designed, constructed, or rated to stop such exposure from gases. Your structural firefighting gear is designed to protect you from the physical and thermal threats, but not from those gaseous threats. So, starting right now today it’s in every firefighter’s best interest to protect themselves to the best of their ability from these threats to their health. Even PPE that’s been properly laundered and dried is not 100% clean. Research is telling us that the perfluorooctanoic acid (PFOA) present in brand new PPE coats and trousers is a cancer threat (Our European fire service colleagues have already forced PPE manufacturers to eliminate PFOA’s in the PPE they produce for use in Europe. Where is the NFPA on this in the US? Crickets). Everybody is now starting to say, “Treat every structure fire like a hazmat incident” (Something I’ve been saying and writing about for about four or five years now). Well, do you ever see a hazmat team member wearing a Level A (fully encapsulated) protective suit unless they’re working on an incident or training? No, you don’t! And it’s time every firefighter starts looking at their structural PPE the same way! Stop wearing PPE any time before they get to the emergency scene. Yes, I’m saying everyone should don their PPE and SCBA after they arrive at the scene. Firefighters and their PPE should never be together in the crew cab of the fire apparatus ever again. Every firefighter should be able to don all their PPE and SCBA in 90 seconds or less, right? They had to do it as part of their firefighter certification testing, no? So, 90 seconds is 90 seconds whether it’s in the fire station or at the fire scene. Stop wearing any of the structural PPE ensemble as a “convenience.” It’s easy to just put on your turnout coat when it’s cold or raining for that EMS call, but it needs to stop. Fire departments must provide their personnel with clothing and PPE options instead of relying on structural firefighting turnout gear as the sole option. and push your pants down to the boots if removing them is not practical. You must get your contaminated PPE components away from your skin and truly cool your skin temperature. For every five degree rise in skin temperature, absorption through the skin increases by 400 percent! Which leads me to my final point. Stop wearing your PPE while doing PT (physical training). 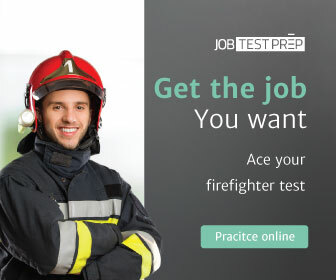 It’s bad enough that you’re having to wear that PPE during firefighting operations. Why would you continue to put yourself into PPE, work up a good sweat, and absorb whatever is still in your gear? Wait. There’s one more. Stop using your turnout gear as photo props! Every time I see a new baby in a firefighter helmet, or engagement announcements featuring one or both of the couple wearing a helmet and turnout gear coat, I just want to scream! Your structural firefighting protective ensemble has one purpose and one purpose only: protect you from the physical and thermal hazards of interior structural firefighting. Every firefighter and fire officer in the U.S. and Canada need to make these changes in how they use that protective ensemble. Next: Some Winter Weather Posts to Get You and Your Department Through to Spring!